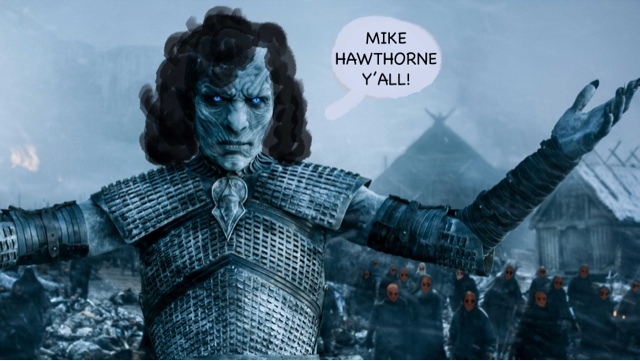 Mike Hawthorne: Guess who's back? Gerry Duggan and I are raising Deadpool from the dead! Tell your friends and enemies! Scream it from the mountain tops! Deadpool is back, happy days are here again! Oh, and tell your local comic shop to order hella' copies of the comic cause it's going to go FAST! Thanks so much, George! You're too kind. I had a hell of a time with that issue!